The number of high-speed boat trips from the mainland to Phu Quoc Island off the coast of the Mekong Delta’s Kien Giang province will increase during Tet. Phu Quoc Express is adding four more trips departing from Rach Gia city and two more from Ha Tien city to Phu Quoc Island from January 26 to February 14. Tickets are the same, at VND340,000 ($14.6) one way from Rach Gia and VND250,000 ($10.7) from Ha Tien. The Superdong ferry operator will increase its trips from five to ten on these routes. Tickets are VND330,000 ($14.2) one way from Rach Gia and VND210,000 ($9) from Ha Tien. 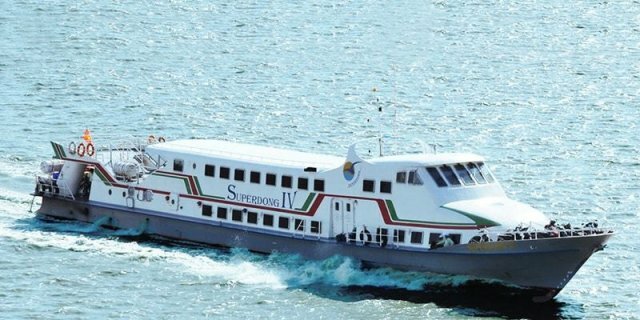 Meanwhile, the Thach Thoi high-speed ferry company will conduct 14 round trips daily on the Ha Tien - Phu Quoc route, up from the usual nine, from February 2 to 12, with tickets costing VND270,000 ($11.6) for normal seats and VND400,000 ($17.2) for VIP seats. Phu Quoc Island is known for its year-round sunny weather, charming white-sand beaches, and a host of resorts, most of which are along the palm-lined southwest coast. More than half of the island is part of the Phu Quoc National Park, which features mountains, dense tropical jungle, hiking trails, and wildlife. It was listed by CNN last year as among the top five destinations to visit during the fall for those planning their first trip to the Asia-Pacific region. Bai Dai (Long Beach), meanwhile, was listed among the most beautiful white-sand beaches in the world by US News & World Report in 2018. Stretching around 20 km, Long Beach in particular is admired for its strikingly soft white-sand beaches, crystal-clear waters, and stunning scenery, according to the site. The stretch of beach is also home to numerous resorts, most of which feature huge pools and rooms geared toward families. Phu Quoc Island welcomed more than 4 million tourists last year, an increase of some 36 per cent against 2017.